Fremont Mischief (132 N Canal Street) has opened its doors for business. 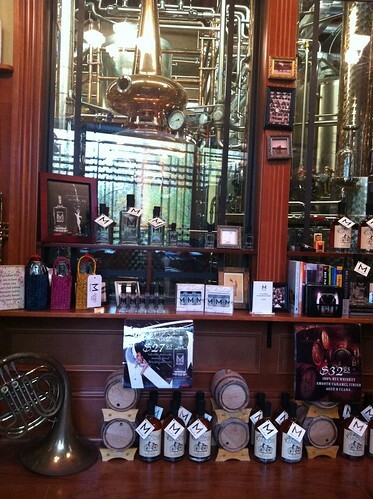 The distillery features a tasting room and a retail shop with local goods. 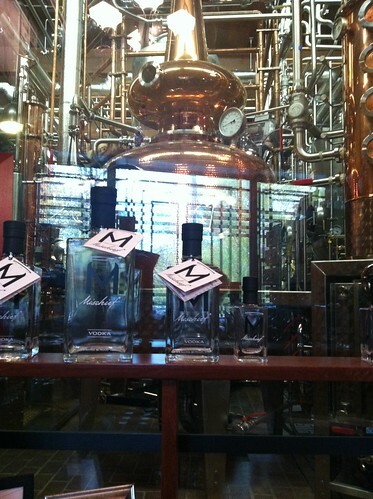 Mike Sherlock, the owner, has been in the craft distillery business for 14 years. Sherlock began his career selling fish in Asia, but after sharing a case of whiskey with local fisherman he received requests for more beverages. Sherlock has been selling whiskey ever since the law for small craft distilleries changed. He says that he hopes to create a destination and add to the ambiance of Fremont. To devote more of his time to Fremont Mischief he sold some of his other businesses. The tasting bar features whiskey, vodka and John Jacob, an original recipe. The 100 percent rye grain whiskey was made by Sherlock’s wife’s great-grandfather. The eight year rye from Fremont Mischief Whiskey is grown in Eastern Washington and the wheat used to produce Fremont Mischief Vodka comes from Ebey Road Farms, a six generation farm in Whidbey Island. At the beginning of next year the tasting room will also feature gin. Recently Fremont Mischief launched the Commemorative Soldier Whiskey, for “veterans who have served and for the soldiers still on active duty.” The beverage, in a lantern-like package, has different dog tags from fallen or wounded soldiers, their rank and the war that they fought in. 25 percent of the proceeds go towards the soldiers’ families. 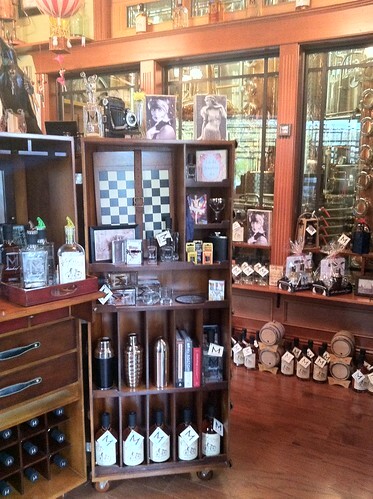 In addition to offering spirits the craft distillery has vintage photographs, books, bar utensils, a line of hats and sweaters, jewelry and antiques from the 30s. Sherlock also has a record company, Bootleg Records, which supports local artists. In the summer he plans to host different events where local musicians can showcase their talents. Fremont Mischief is open 11 a.m.to 6 p.m. Wednesday-Saturday and 11 a.m. to 4 p.m. on Sunday. Saturday, November 19th, the Fremont Abbey Arts Center turns six-years-old and they’re throwing a birthday party for themselves. Please invite your friends, dress up a bit if you like (indie formal anyone? ), and join us for a multi-arts celebration to sustain the Arts Center’s programs for all ages & incomes. We had approximately 29,000 attendance at our programs in 2010 and we need your help to reach even more people with educational arts experiences & community interactions in 2012! Our new “Arts Share” program is now offering tickets and classes to low income people (and nonprofit workers) around the city including Solid Ground’s family housing! The event will feature live performances from John Van Deusen of The Lonely Forest + Mychal & Melodie of Campfire OK), a 3D Photobooth, an “unusual” silent auction, prizes and much, much more. Deliciousness will be provided in the form of appetizers by The Upper Crust Catering and Madres Catering as well as desserts by Portage Bay Catering. The Abbey Cafe team offers Specialty Cocktails (Hot & Cold), plus great local beer and Washington wine. Your entry ticket gets you food and at least 2 complimentary beer/wine tickets. Otherwise, it is a cash/credit bar. There is a 5 p.m. free family hour but the main event begins at 7 p.m. Entrance starts at a $25 donation (but you can always give more if you like). You can also RSVP here. If you’ve never been to the Abbey but always wondered what’s going on in there, there’s no better time to check it out than November 19. Everyone’s favorite Russian Marxist revolutionary is getting ready for everyone’s favorite December holiday tradition. The Lenin Lighting! Would it be a traditional event in Fremont if we didn’t have our own spin on things? Everyone else can have their Christmas tree and Hanukkah menorah lightings. We’ll be lighting up our giant statue of a Russian dude, thank you very much. 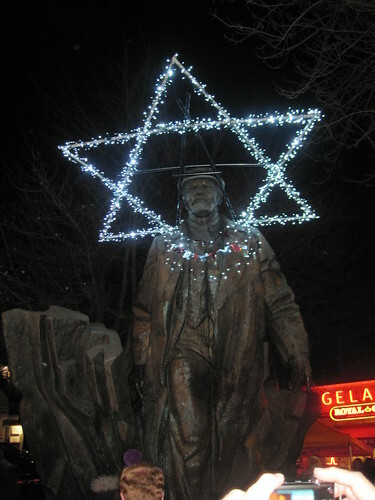 This year’s “Lenin Lighting” celebration is all set and ready to go for Friday, December 2nd. Coinciding with the December Fremont First Friday Art Walk, the event will begin at 5pm and the lighting will take place at 6pm. Amongst the festivities and goodies include an appearance by Santa Claus,hot drinks courtesy of Peet’s Coffee and Tea, pie courtesy of Pie, donuts courtesy of Might-O Donuts and more. 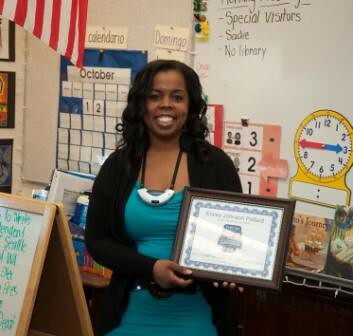 Check out some videos and pictures from last year’s ceremony. More details to come but make sure you clear your schedule for December 2nd. And when you tell people what you’re doing on the 2nd, don’t be too alarmed when they look at you funny. 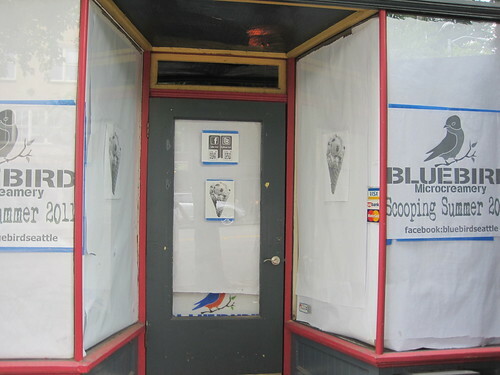 Fremonsters have been waiting patiently while Bluebird Ice Cream prepped it’s new shop at 3515 Fremont Ave. N. The sign out front has teased us with the idea they would be open this past summer for months now. Finally, the wait is over. Bluebird Microcreamery will open its THIRD location this FRIDAY 11/18 in the Fremont neighborhood, at 3515 Fremont Ave N (at the corner of 36th and Fremont next to The Dubliner.) We’ll have all of our special fall ice cream flavors, as well as our best sellers, to give the neighborhood a taste of what we’re all about. Make sure to check out our new Ice Cream Truck which will be parked our front (available for events. )We hope you’ll come see us for a treat this weekend. As a special new venture for us, we will be operating a nano-brewery on premises, where we’ll be making hand-crafted ales and sodas for floats on tap. (Yes, we do beer floats at our Capitol Hill location, as featured in Huffington Post.) You’ll also be able to fill growlers for your fridge at home, as soon as we receive certification. If you are unfamiliar with Bluebird and their small batch, locally-sourced artisan ice cream, check out this interview we did with owner Josh Kessler-Reynolds back in June. Between Pie’s pies, Cool Whirled’s frozen yogurt, Flying Apron’s muffins & cookies, Simply Desserts’ desserts and now Bluebird’s ice cream, I better not hear any more complaining about lack of dessert options in the 35th and Fremont area. Get ready for traffic back-ups across the Ballard Bridge. The Seattle Department of Transportation has announced that the contractor painting the “bascule” portion of the bridge will begin this week. Once underway the project will close one northbound lane and the east sidewalk everyday for up to six weeks During the following six weeks, one southbound lane and west sidewalk will be closed. The approaches at each end of the bridge were painted last year. This current project is expected to be completed by February 2012. It’s official, folks. Not a Number has found a new home in Fremont. Not A Number is proud to proclaim “I am not a number, I am a FreeMonster”!!! We will be reopening in Seattle’s Fremont neighborhood on Nov. 11th (11/11/11). Our new address in the self-proclaimed Center of the Universe is 720 N. 35th St. Just a short drive or easy bus ride from our old location in Wallingford, with a convenient parking lot right next door, and on street parking right in front of our new store. We are just around the corner from the Troll. No word yet on when they’ll reopen. In Fremont, self-promotion is not only tolerated, it is encouraged. And if you can include breakfast in your shameless promotion, all the better. The Fremont Chamber invites you to join the Breakfast of Shameless Self-Promotion on Wednesday, November 16 between 8am – 9:30am at The Fremont Dock. Join the Chamber for breakfast and a chance to promote your business to others. As well as hearing from Mayor McGinn as he shamelessly promotes and presents his 2012 Budget for the City of Seattle. The event costs $15 and includes a limited menu breakfast from The Fremont Dock. Find out more, including how to register, here. Making it that much easier for you to stuff your face with delicious pie, Fremont’s Pie now offers delivery service between the hours of 11:00 am and 2:30 pm on weekdays. From 11am-2:30pm every weekday Pie will be offering delivery for business meetings, events, or simply for offices or friends who want to place an order together. We will be delivering sweet and or savory pies, salads, soup and drinks from our menu of the day. We require 24hrs notice and have a $50 minimum, same day orders can be taken on a case by case basis; hey… it never hurts to ask! All orders must be payed by credit card over the phone. Just to make sure your jealous neighbors aren’t left out, they will deliver all over Seattle, including Fremont, Wallingford, Ballard, Queen Anne, Downtown and more. Head on over to their website to find out more, including the daily specials.